The game of baseball is the only professional American sport without a clock to time the play. In the vast history of baseball many games have gone on for hours while some have been completed in less than an hour. One game holds the Major League record for most innings played. The game took place on May 1st, 1920 in Boston at Braves Field. The teams that day were the Brooklyn Robins (Later known as the Dodgers) and the Boston Braves. This record setting game consisted of 26 innings and ended in a tying score of 1-1. The game was called due to darkness. The starting pitchers were Leon Cadore for the Robins and Joe Oeschger for the Braves. Both pitchers played the entire game which by today’s standards is a heroic feat. While it holds the record for the most innings it does not hold the record for actual time. The game was called at 4 hours and 50 minutes after the first pitch. In the history of the Major Leagues games have gone past 22 innings less than ten times. The most recent of those was in 1989. It is safe to say that this game has stood the test of time and will continue to hold this amazing record for many decades to come. 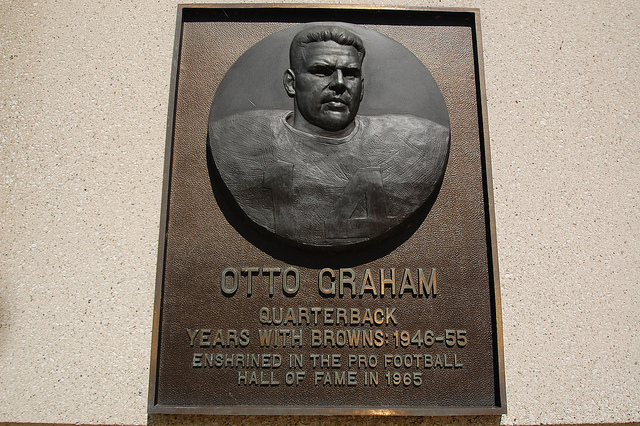 Many modern football fans have never even heard the name Otto Graham. Decades before Bernie Kosar was taking the Browns through many playoff runs. Otto Graham was the best quarterback not only in Cleveland but in the NFL. Years before Jim Brown dominated teams, Otto Graham was dominating the league. Graham will go down as one of the greatest quarterbacks to ever play the game. He was the 1st and possibly the biggest Cleveland sports star ever. Otto Graham started his professional career in Cleveland during the 1946 season. 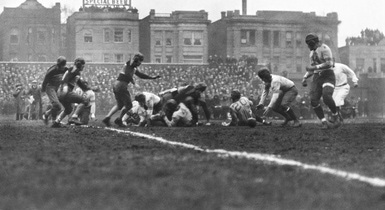 At the time the Browns played in the All American Football Conference (AAFC). In that season Graham lead the Browns to their 1st Championship and the team finished with a 12-2 record. The winning did not stop there. The Browns went on to win the 1947, 1948 and 1949 AAFC Championship prior to entering the NFL in 1950. During his first 4 seasons he played in 54 games and had 86 TD’s and 10,085 yards passing in total. Many people considered the AAFC to be the minor leagues so to speak. The Browns were not expected to be as dominant in the NFL. The critics were completely wrong with their assumption. Graham had almost the same numbers in the NFL as he did in the AAFC. Graham would play in 72 games in the NFL and have 88 TD’s and 13,499 yards passing. 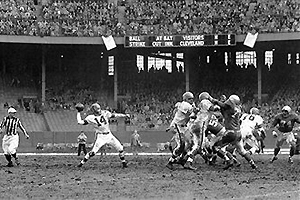 Graham and the Browns made the Championship game from 1950 to 1955. In total Graham led the Browns to 10 straight championship games with them winning 7 of them. 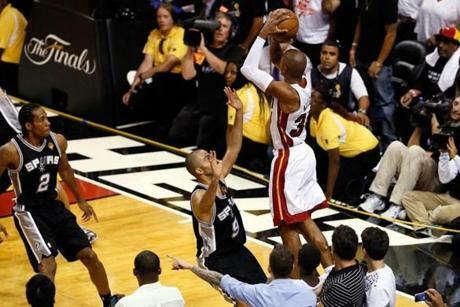 The only years during this period where they did not win a championship was 1951, 1952 and 1953. Their playoff record was 9-3 during those 10 seasons. Otto Graham retired after the 1955 season. He retired with 174 TD’s and 23,584 yards passing. In his career Graham was a 5 time Pro Bowler and was a 7 time First Team All Pro. He was one of the first inductees into the Hall Of Fame in 1965. Otto Graham was able to accomplish something that will never happen again by leading his team to 10 straight championship games. The only other player to come close was Jim Kelly with the Buffalo Bills. The Bills made it to the Super Bowl from 1990-1994 but never won any of those games. There are many names that are discussed when talking about who was the greatest quarterback ever. Names like Dan Marino, John Elway, Johnny Unitas and Tom Brady but none of those players achieved the success that Graham was able to do. The only argument that any one might have against Graham would be that the playoffs were shorter with less games when he played. The fact of the matter is he still won those titles and in both leagues. The only reason that most people do not consider him the best is because they don’t know anything about him or what he did during his career. As long as the stats and film are around no one can deny his greatness. For such a short career by today’s standards he really made an impact. Otto Graham passed away in 2003. He left a legacy that will never be forgotten, he will live forever in the Hall Of Fame.